We all have to admit, social media plays a big role in our lives when it comes to making an announcement, or sharing what you’ve been up to recently, or to show off to your friends where you’ve traveled to, or simply a place to rant and vent. 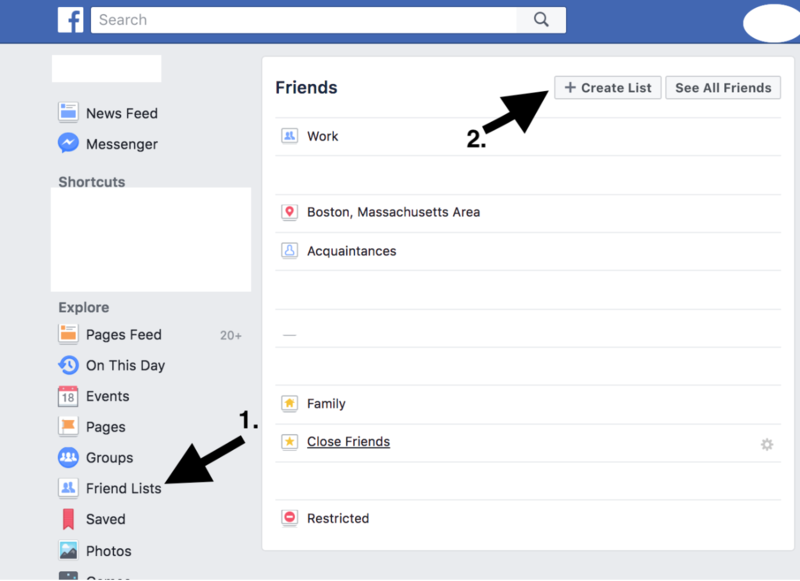 However, there’s always someone in your friends list that you didn’t quite want to see some of your stuff. To make it an easier relatable example, let’s pick a focus- Work. Scenario 1: You were scouting around for a better job and you finally got an interview, or even better, you got THE job. You want to share it with your friends and family about this great news, but you’re friends with your current boss on Facebook. And you really, really want to write a Facebook status update. How do you do that without your boss seeing it? Click on the button next to the “Post” button. 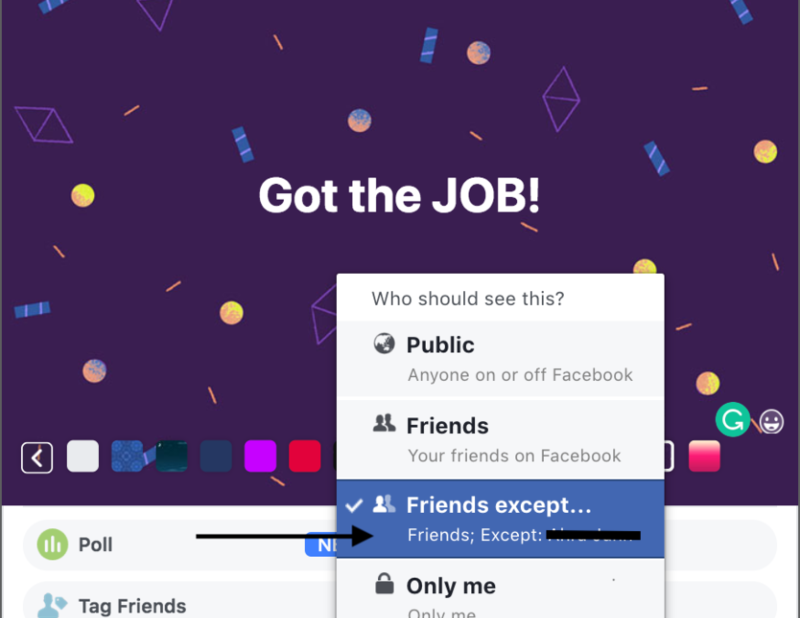 Click “Friends except…” and a pop up of your friends list will appear. Scenario 2: You and a few other colleagues went out to have some drinks, did some outdoor activities together, etc. except you didn’t invite that other few colleagues that annoy you. But you want to post pictures of you and your non-annoying colleagues hanging out. 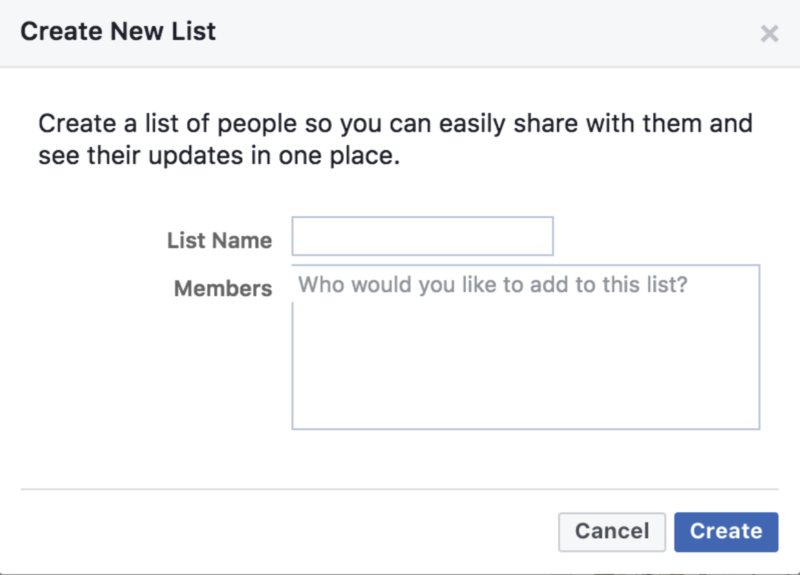 Here’s what you can do if you hang out with these few colleagues occasionally, create a friend list which you can group them up. 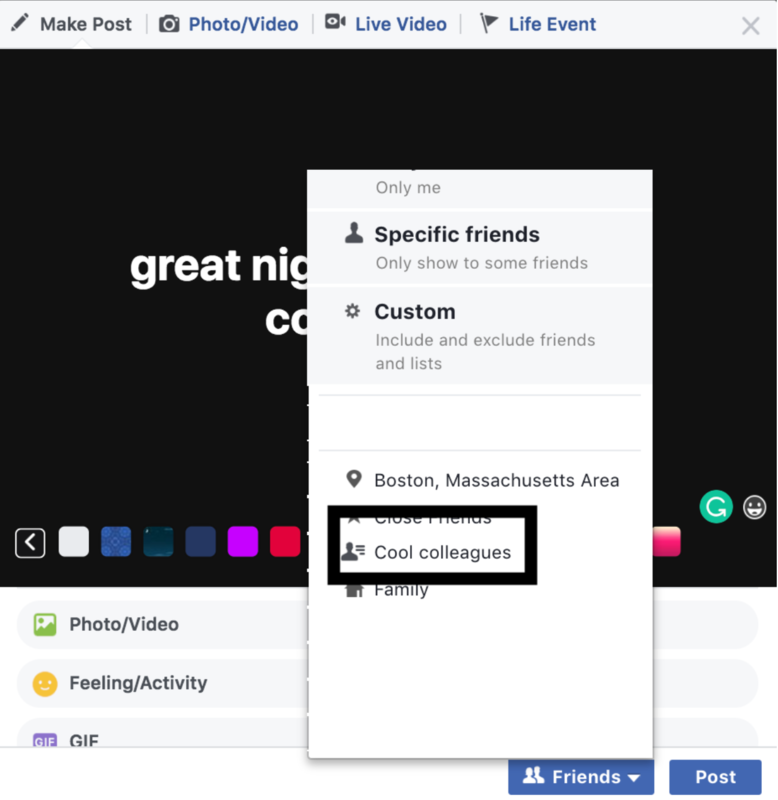 Go to your friend list on the left of your Facebook page. 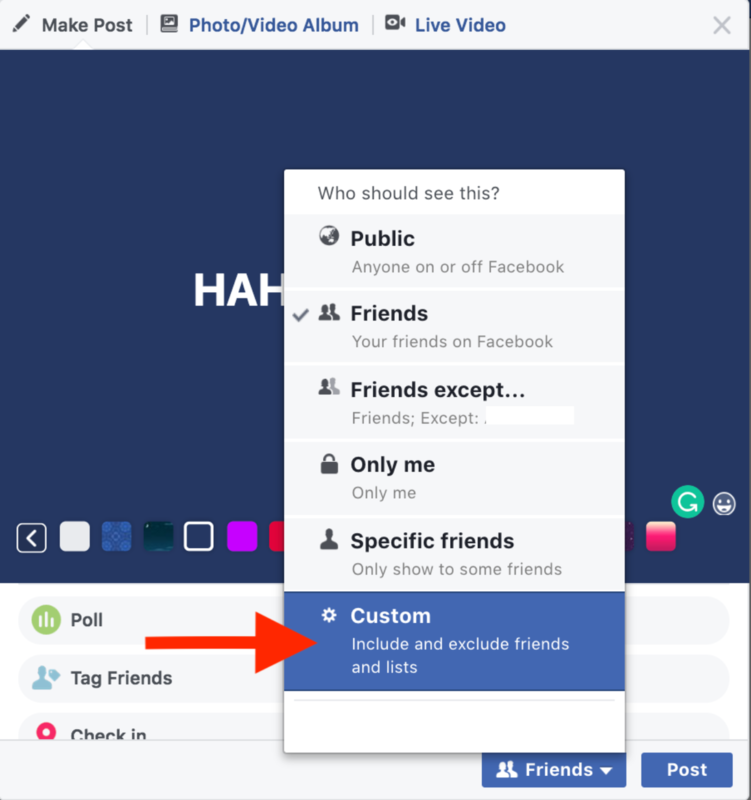 Post status/pictures and at the bottom, next to the post, click who you want to share this with. Scenario 3: You and your cool colleagues share an inside joke about your boss or annoying colleagues and you want to share it on Facebook. So you only want to share this status or post with certain few people and NOT with certain few people. 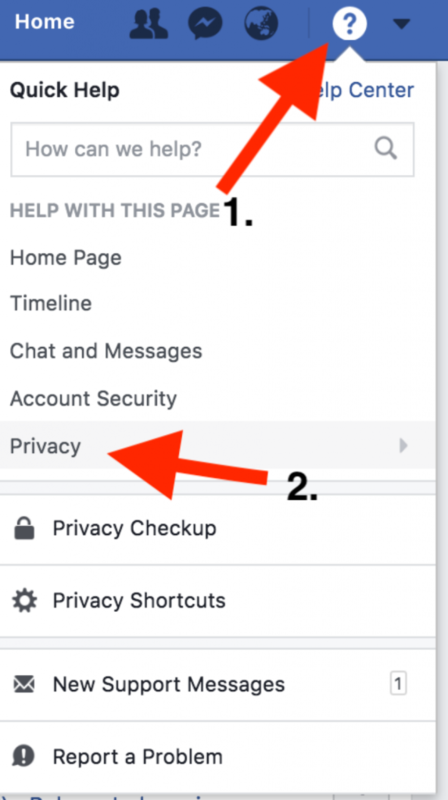 Simply click on the “Help Center” and scroll to “Privacy”. Here you’ll see all kinds of FAQs and you can also type your question on the bar to easily search for your query. 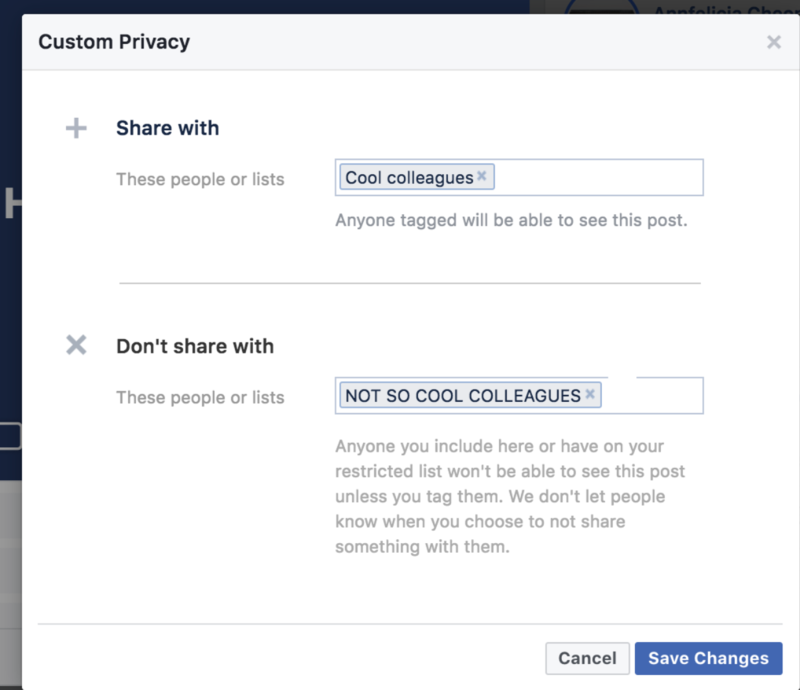 What about something else besides hiding your posts from co-workers? 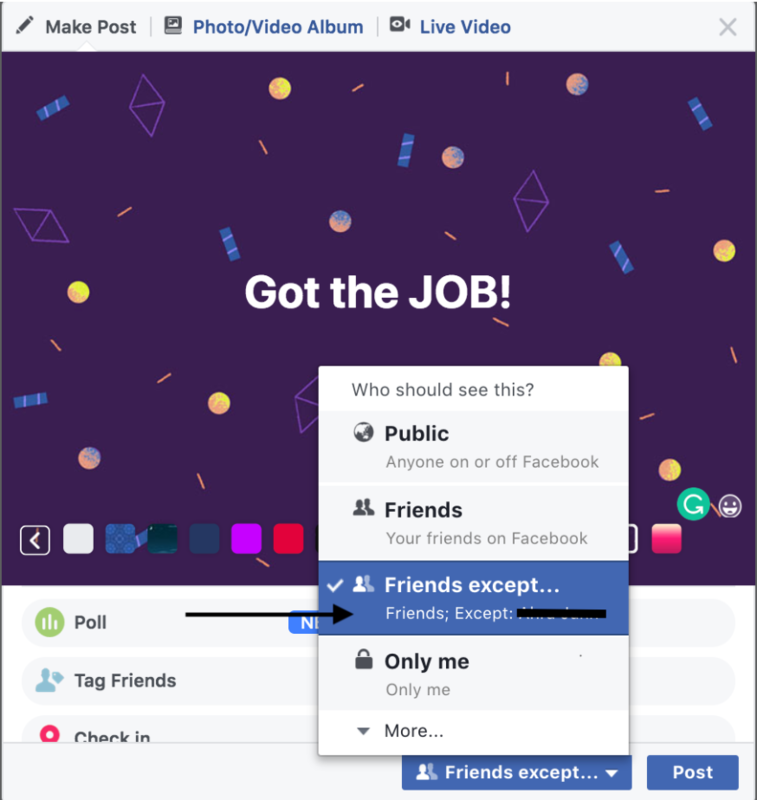 How about your personal data that Facebook has been collecting discreetly even though you no longer use that certain app? 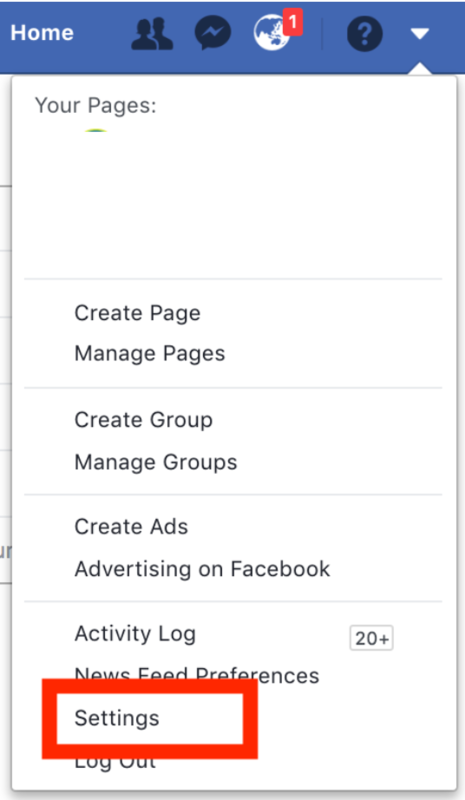 It is super convenient to sign up for 3rd party apps outside of Facebook by simply clicking “Sign up using Facebook”. Let’s face it, we click on that button simply because of the convenience; you don’t have to remember another login credentials, you don’t have to go through the hassle of typing every personal information, and it’s faster. What happens when you don’t use those apps anymore? Or even if you don’t log in to your Facebook account at all? Your personal information and data are still being collected by Facebook. Information such as your IP address which means your location, the web browser you use, your name, your personal information and many more. Is this a form of privacy violation? How can you prevent that from happening? Go to your “Settings” page. Click on “Apps and Websites”. 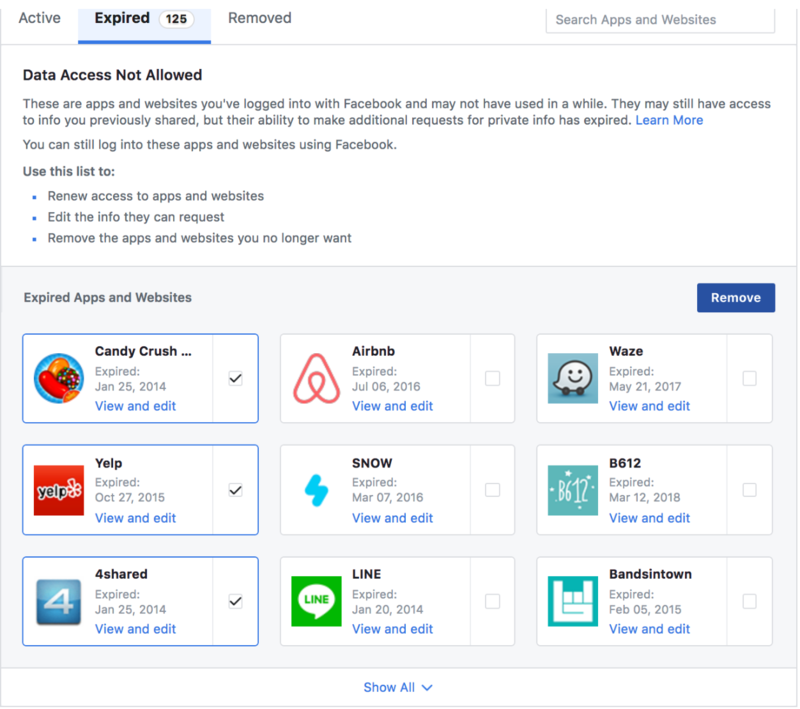 You’ll see the list of apps that you’ve had linked with your Facebook account- actively, expired or has been removed. Select the apps you no longer want to share information with. 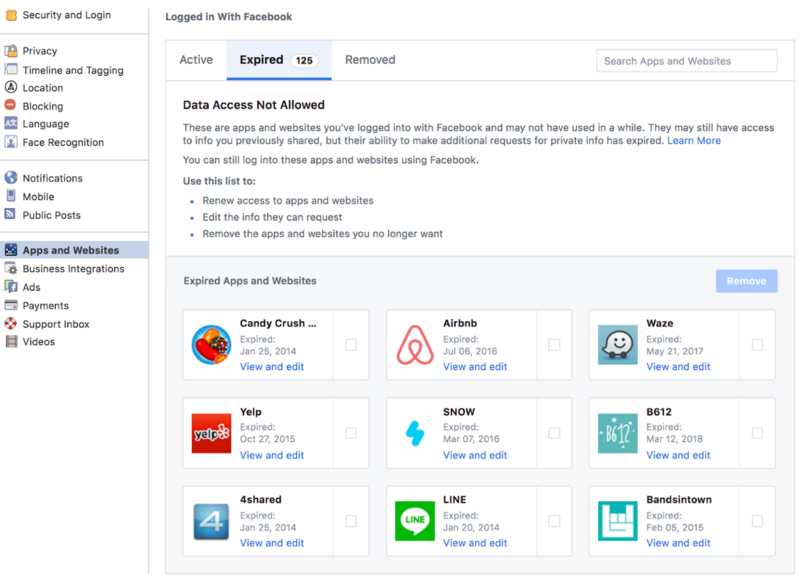 You can do this cleanup from time to time when you have apps you no longer use and are linked to your Facebook account. 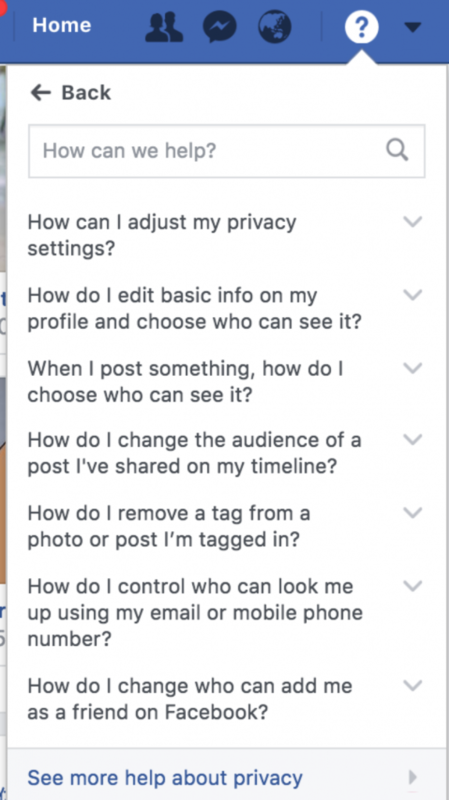 There are a lot more you can do with your privacy settings. Play around the privacy settings in your account and you’ll discover more than you can think of.